A branch of Ted Baker stands on Regent Street in London, England. Ted Baker's CEO Ray Kelvin resigned after people who worked with him complained of "forced hugging." Kelvin has long had a reputation as a man who regularly hugged his employees. But he came under pressure last year when a petition emerged online where employees called for a change in the company's culture. 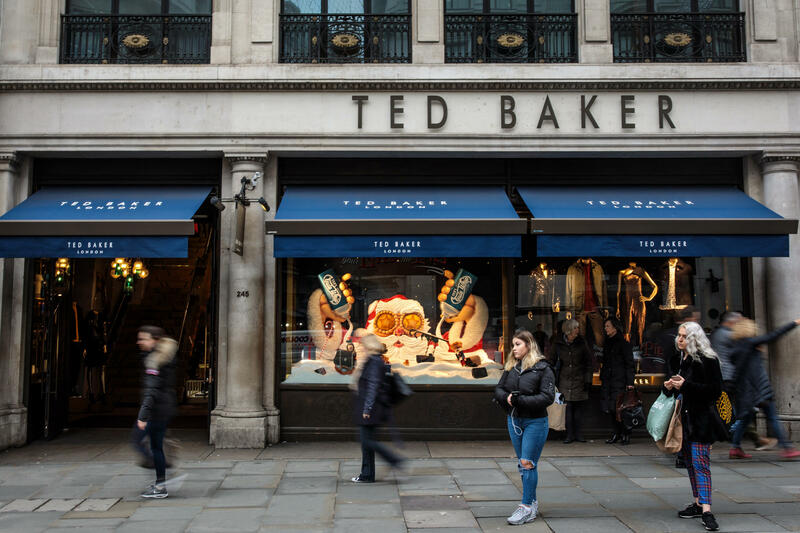 The BBC reported that the petition said that "200 Ted Baker employees are breaking the silence" about dozens of incidents of harassment at the company. It said that Kelvin would suggest that female employees sit on his knee or even ask massage to their ears. 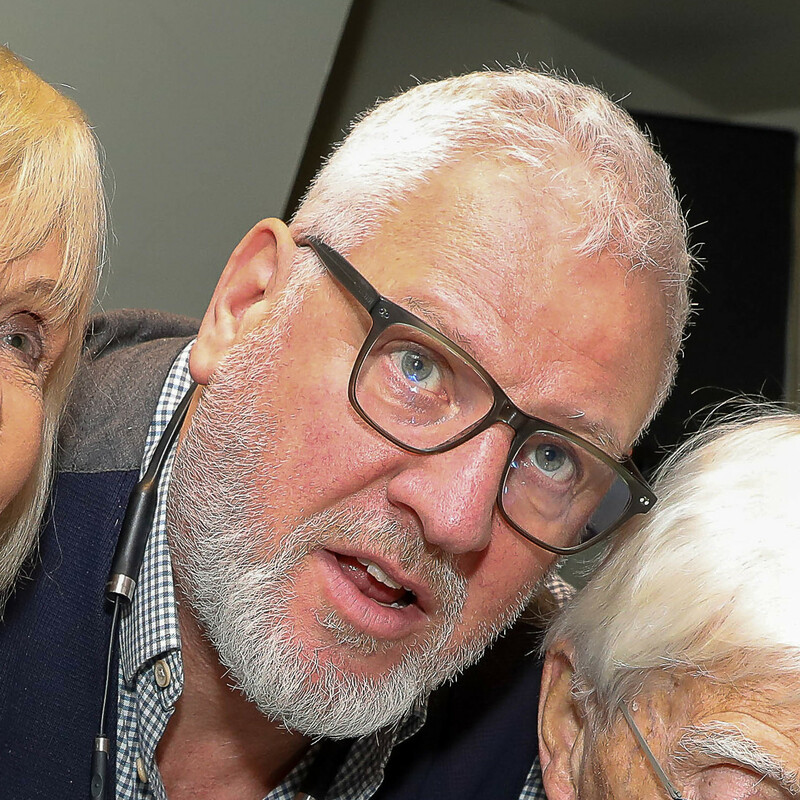 "It is part of a culture that leaves harassment unchallenged," the petition stated, according to the broadcaster. Ray Kelvin, shown here last year, started the clothing company more than 30 years ago. "I had to be quite ugly and assertive for the first seven years to stay in business, but once we got past that, then it was about hug culture. Then it was about how can we make this the best? How can we care for people? How can we make the best food? How could we do the best massage? You know, we have tried so hard to make this a fun place and a fun environment for young, up-and-coming, creative business people." It wasn't just his own employees that received hugs — a Financial Times editor recently described her confusion at a meeting in 2012 where Kelvin offered her a bear hug: "Was this a disarming tactic, intended to fluster me into forgetting the tough financial questions I was going to ask him about the Ted Baker balance sheet? Or was this over-familiar behaviour designed to endear me towards him and only write nice things about the brand?" She describes one of his employees arriving late, then being told by Kelvin to do some push-ups. He immediately dropped to the ground. "It was laughed off, but left us all in no doubt who held the reins of power," the FT wrote. Kelvin took a voluntary leave of absence from his role as CEO of the company in December 2018. An internal investigation has been looking into the claims. He issued a statement about his decision, according to the BBC: "Difficult though this decision is given that Ted Baker has been my life and soul for over 30 years, I've decided that the right thing to do is to step away from Ted and allow the business to focus on being the outstanding brand it is so it can face 2019 with fresh energy and renewed spirit." The company says that Acting CEO Lindsay Page will continue in that role. Ted Baker started as a single shop in Glasgow, and has since grown to more than 500 stores worldwide. The stocks dipped sharply in December when the allegations about Kelvin's behavior surfaced. They rallied slightly today after the news of Kelvin's departure. In a statement, Executive Chairman David Bernstein says the board of directors is determined to learn from what happened, "and to ensure that, while the many positive and unique aspects of Ted's culture are maintained, appropriate changes are made."